The deep-space transport ship, the Vera Rubin, is light years from Earth when botanist Elle Silver begins to question the use of their space-travel drug, HCH. Elle notices a growing number of her friends and fellow colonists awaken from their 90-day sleep cycles exhibiting a variety of negative side-effects and she begins to believe the drug is the culprit. Some of the effects are minor, dry eyes and lack of appetite. Other symptoms are a bigger concern on a tiny ship packed with colonists. With each sleep cycle completed, more and more colonists awaken both confused and barely concealing a simmering rage – rage that could be a catastrophe on a ship as crowded as the Vera Rubin. Elle needs proof, but she also needs a plan. If the drug that allows them to travel deep-space is at fault, what then? Elle and her friends Ashok, Achebe and Jin-Hai are pressed to their limits to find a solution to their problem before the ship erupts into chaos… with light years left to travel. 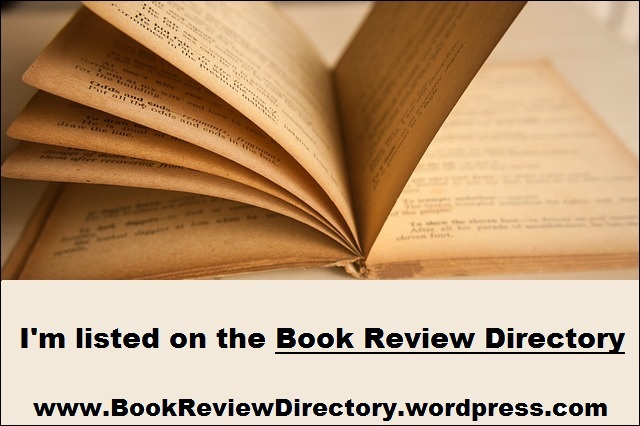 As a guest writer for a post on books – I thought that rather than talk about my novel, FREEFALL per se…. readers like yourself might be interested in how the book came to be written. I think when we discover a book that really engages us, we begin to believe that writers are some mythical beings with a special ‘secret’ ingredient that allows them to write. This could not be further from reality in my case and in many other writers’ lives too. The only ‘secret’ ingredient I might possess is a dogged determination to get my story onto the page. I learned determination and persistence from my mother. My mother also seeded in all her daughters an absolute love of reading and storytelling. Although, I continue to be the only writer in our immediate family, my sisters actively read books and even lead book club discussion groups too. Growing up in a household of females (my father deserted us) was pivotal to my central attitude about life. I believe that there is very little that a determined girl or woman cannot accomplish. As a child, there was no one to tell me ‘girls can’t do that’ OR if my sisters did say it – I immediately set out to prove them wrong. This attitude is woven into the story of FREEFALL throughout the book. The other tenant of the book is the importance of curiosity. I spent a fair bit of time alone as a child, poking into things, exercising my curiosity about how things worked, why they worked and even sometimes dismantling things to find out if I could make them work again. My single mother had very little extra money to fix toys that were broken or even buy new ones. So all of us girls became adept at putting dolls back together, or gluing tea sets that got broken or putting wheels back on wagons to get them working again. In the book Elle reminds herself that curiosity is a good thing, it can lead to new ideas and discoveries of importance that might have gone unnoticed by others who never asked the question ‘Why?’ Asking yourself why and then setting out to find the answer can lead to amazing things. As you will see, Freefall reflects core values that I hold that women are smart, capable and caring – and can do almost anything if they try. My own sense of adventure stems from my curiosity about life here, on this planet – which led to speculation about life – out there in another corner of the universe. Another core belief of mine is that you don’t have to have a degree from a university to write and write well. What you do need is the desire to tell an engaging story. The best place to learn how to do that is from inside a book where you can read, read, and read. Once you’ve read a fair number of books, start mentally sorting them out into the ones you liked and the ones that were just okay – but not spellbinding. And finally, what about the books you didn’t like? Stack them up, and then start thinking about the ones you liked – What did they have in common? 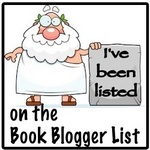 Do the same mental exercise with the books you didn’t like – What did they have in common? You will learn as much about writing from what you didn’t like – as from what you did. Once you know what you like in a book, you’re ready to start writing your own story. It’s important to write something you would enjoy reading yourself, because if you’re writing a novel you’ll be spending days and weeks and months in the world you’re creating. So it better be a place that you look forward to visiting – you owe it to yourself to make it so. I truly loved every minute of writing Freefall. The editing portion was a challenge for me – because it is a bit like cleaning the house; necessary and important but certainly not thrilling to do. 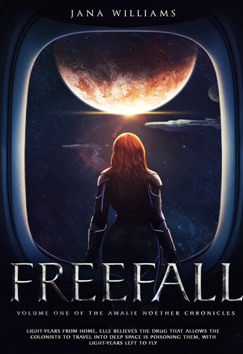 Freefall came into being because I love good Science Fiction and Fantasy – and I hoped to write a story worthy of some that I have read. Also Freefall came into being because I was persistent enough to sit down every morning before going to work (and sometimes after work too) to continue writing Elle’s adventures with her friends. I would spend hours thinking about what would happen next, so that I would have a focus for the next days writing. And then, when I was done with the first draft, I willingly put in more time to fix the things that needed fixing to make the story more clear and uncluttered. Jana Williams is certain that fiction can change people’s lives – especially women and girls. Her own life is testimony to that fact. One of five daughters, she was raised by a single-mom who placed a high value on reading and storytelling. The ability to read, coupled with a child’s innate curiosity about the world, and access to books to satisfy that curiosity can offer significant opportunity to a child. 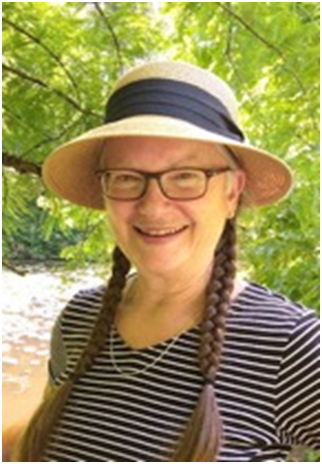 Like most writers Jana has bounced from job to job, absorbing stories, cultures and customs as she worked. She has been a high-speed motion picture photographer, a VFX coordinator, worked in the film industry, and the publishing trade as a book seller – a publisher’s rep and now an author.